Have you ever started a customer experience survey only to become frustrated when you're 10 questions in and notice that the survey is only 30% complete? This is a common mistake made by businesses seeking customer feedback. Put yourself in the shoes of your customer. How many questions would you be willing to answer? I would be surprised if it is more than 7 or 10 maximum. What if it was only 3? Which three questions should the business ask? How about these 3? 1) How likely is it that you would recommend our product/service to a friend or colleague? Simple and widely used, the Net Promoter Score question (NPS) helps you estimate customer experience and forecast growth, as it's a great indicator of your customers’ loyalty. 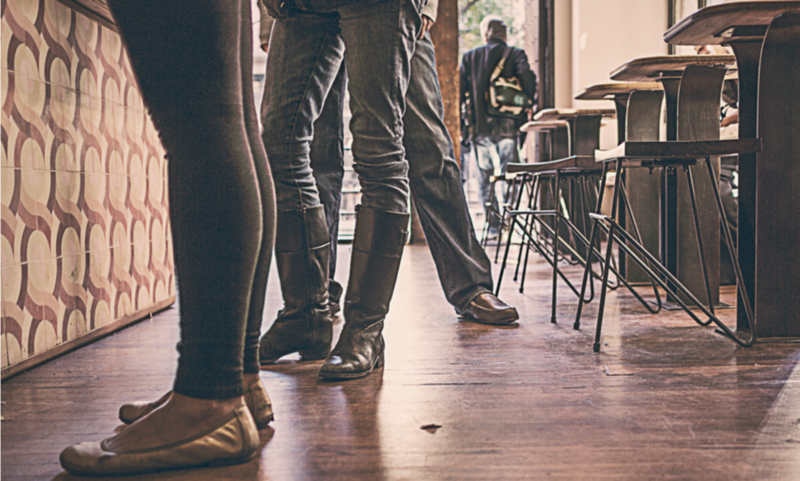 Loyal customers mean greater word-of-mouth marketing and increased sales. Think about it for a second. What would make you go to see a movie more? An ad on the side of a bus driving through town or a strong recommendation from a trusted friend. Customers give a score from 0 to 10 (0 represents "Not at all Likely" and 10 "Extremely Likely" to recommend). Customers giving a score of 9 or 10 are "promoters", 8 or 7 are "passives" and those giving 6 or lower are "detractors". To estimate your NPS score, subtract the percentage of detractors from the percentage of promoters. Your NPS score is that number though the percentage is dropped. A rising NPS indicates increasing customer advocacy, which means your loyal customers are out there telling their friends about how great your business is. Conversely, a decreasing NPS indicates customers are bad-mouthing your business to their friends and will not be returning. In terms of improving your business, it is relatively straightforward. Figure out what your promoters love about your business and do more of it. On the flip side, identify the issues that are pushing people into the detractor category and analyse if there is value in fixing these issues. No business can be all things to all people, so it may be natural to have a certain level of detractors who are not your target market. It may also be the case that a once-off occurrence caused the problem and a well-timed apology could turn that customer from a detractor into a promoter. There is some figuring out to be done here, but the result of the insights you learn and actions you take should be to improve customer experience. 2) How satisfied were you with the service you received from our staff? Unlike NPS, the Customer Satisfaction (CSAT) is not a rigidly defined question and rating scale. The scale we use and a typical question are shown above. CSAT measures your customers' satisfaction from a specific interaction with you. Your CSAT score is the percentage of total respondents who give you a "satisfied" or "very satisfied" rating. Here our question focuses on the customer's experience with your staff, but in some businesses it may be more appropriate to focus on the product. This depends on what it is you are looking to differentiate your business on. If you have more than 3 questions in your survey, I would strongly recommend asking both about your service and product. Aside from the obvious need to improve service staff training or maybe the numbers of staff on duty at a particular time, there are other benefits of asking CSAT questions. A key one is that it gives you a great opportunity to identify dissatisfied customers and talk to them before they spread the word to their networks. That is one reason why encouraging customers to complete the feedback survey while they are still in your store is important, as is using a real-time tool that provides your staff with notifications. Almost half of customers switch brands after a poor service experience. Only 1 out of 26 dissatisfied customers will make a complaint without being asked. The rest will simply not come back and spread the word. It is 6-7 times more expensive to acquire a new customer. This question will help you narrow down the drivers of poor customer experience and may even identify individuals within an organisation that are letting the rest of the team down. 3) Did we have everything you were looking for today? Otherwise you're left in the dark as to what they want. A useful tip here is not to limit the engagement points of your survey to those who actually spend money (e.g. to receipts). Placing a survey engagement sign at the exit of your store may add some colour to the customer who walks in and walks out of your store without speaking to anyone or buying anything. Capturing customer feedback is pointless if you don't take action. It is really powerful when you can demonstrate and even communicate to customers that you are reacting to their feedback. Using the NPS and CSAT questions gives you a clear and consistent metric to benchmark outlet performance, which is very important for multi-location businesses. Decisions like training resource allocation might flow from these results. Resist the temptation to ask dozens of questions. For most businesses the focus should be on the core elements and limiting the questions to a few short questions keeps things simple and manageable. You can always change one or two next month if you want to learn something new. Follow up with customers where possible. Tell them about the cause of the problem or what you have done to prevent it from happening again. This sort of follow up builds loyalty in spades. The most important thing is to start asking and if you need any help with that, please don't hesitate to get in touch. I would also love to hear any suggestions for alternative questions that you might have. Please add them in the comments below.